Mastic Home Exteriors by Ply Gem can help you meet your sustainable building goals and earn points in leading green building certification programs. Our products offer features that positively contribute to sustainable practices, improved energy efficiency or lifecycle benefits of homes. All are important aspects of sustainable building and reflect Mastic’s contribution to the Ply Gem Enviro initiative. 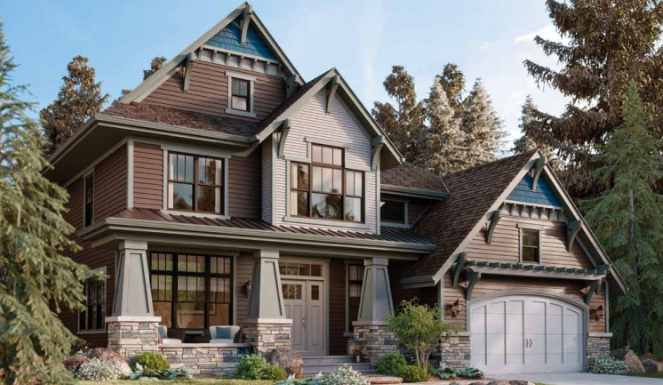 Mastic vinyl siding is manufactured from two abundant natural resources: salt (57%) and natural gas (43%). 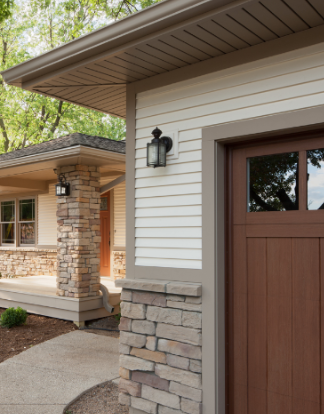 During the manufacturing process of our vinyl siding, all unused material is reclaimed and reused, creating one of the most efficiently- produced exterior claddings available today. The Structure® Home Insulation SystemTM has been third-party verified and Green Circle certified to contribute towards achieving LEED® and NAHB credits, utilizing post-consumer and post-industrial recycled material. When installed and used properly, Mastic products never require paint or stain, which reduces VOCs released into the atmosphere. Ply Gem facilities reuse and recycle pallets and Mastic Performance Metals® have been third-party verified and Green Circle certified to contain a minimum of 67% recycled content. packaging material, reducing raw material needs and landfill use. When correctly installed, the Structure® Home Insulation SystemTM can reduce thermal bridging and help meet the requirements of an ENERGY STAR®Qualified new home. The Structure® Home Insulation SystemTM in a Double 6″ profile has an R-value3 of R-3.0 using the testing method ASTM C1363, as specified by the Federal Trade Commission. 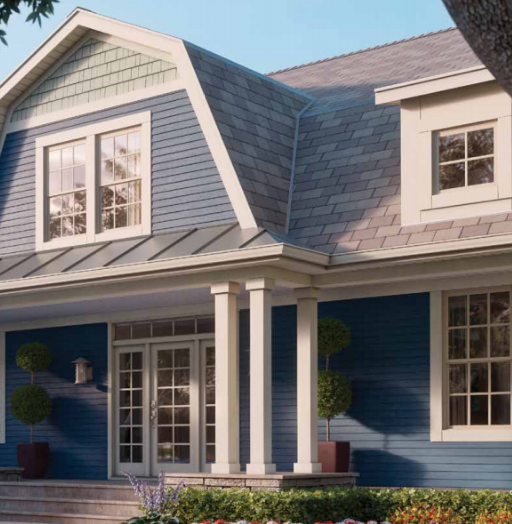 Mastic Performance Metals® V-Groove soffit and roof and eave vents support proper attic ventilation efforts, which moderates attic temperatures and improves a home’s energy efficiency. Mastic V-Groove metal soffit providesthe most net free ventilation per linear foot of any aluminum soffit system. Mastic vinyl siding is durable and requires no site finish. Our Performance Metals® stand up to weather with virtually no maintenance. 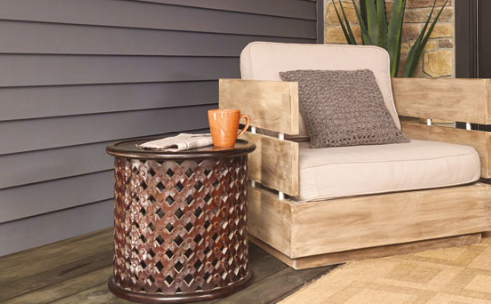 Our Designer Accents use thicker construction and a baked lacquer finish to ensure that they hold up season after season. All of our Performance Metals® aluminum accessories are easily recyclable. In fact, at the end of its lifecycle in building applications, 100% of the aluminum can be recycled.